Grand Canyon wildlife seems to be out in force right now. In addition to the elk and deer that abound on the rim, I recently had the privilege of showing a first-time canyon hiker a bighorn sheep. 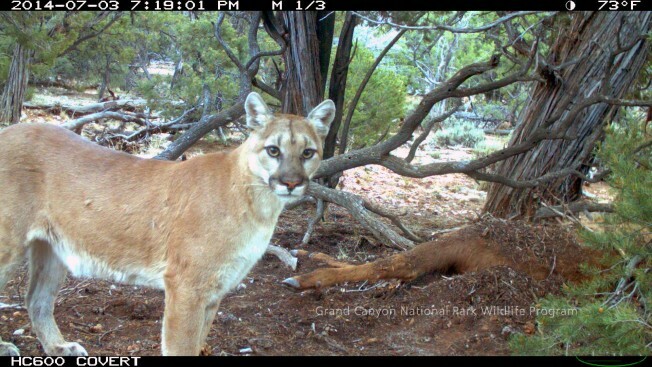 Meanwhile, the National Park Service has been sharing some photos taken by wildlife camera traps. (The “camera traps” aren’t really traps at all — just cameras the are triggered by the presence of the animal.) Here are a few examples of the fauna that live in Grand Canyon National Park. 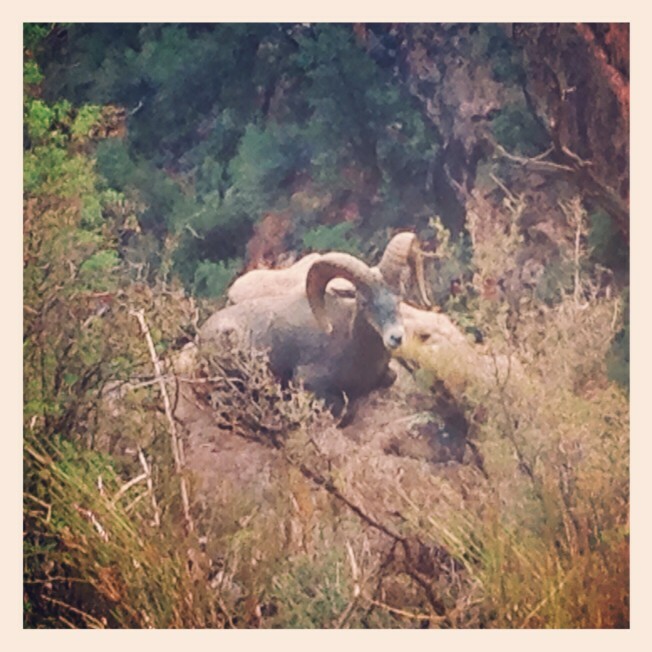 I saw this bighorn sheep sitting maybe thirty feet (ten meters) off the Bright Angel Trail, not far from the mile-and-a-half rest house. As we watched the animal and took photographs, literally dozens of tourists hiked by without even noticing it. 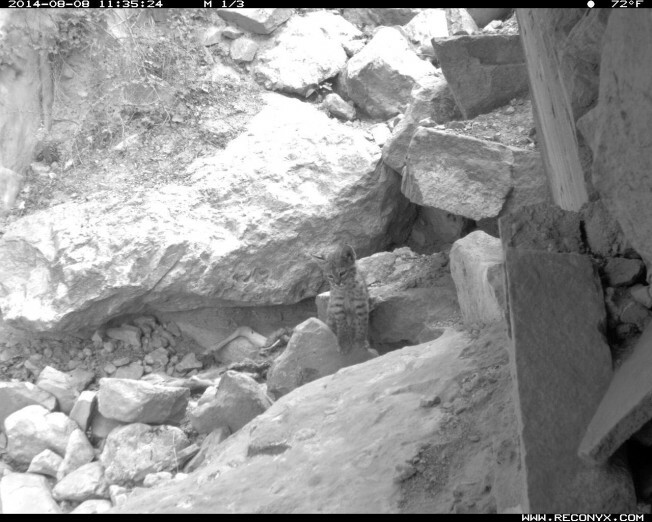 A camera trap caught this baby bobcat near the Bright Angel Trail. Photo courtesy National Park Service. This mountain lion came to check out the elk carcass in the background, but it almost looks like he’s posing for the camera. Photo courtesy National Park Service. 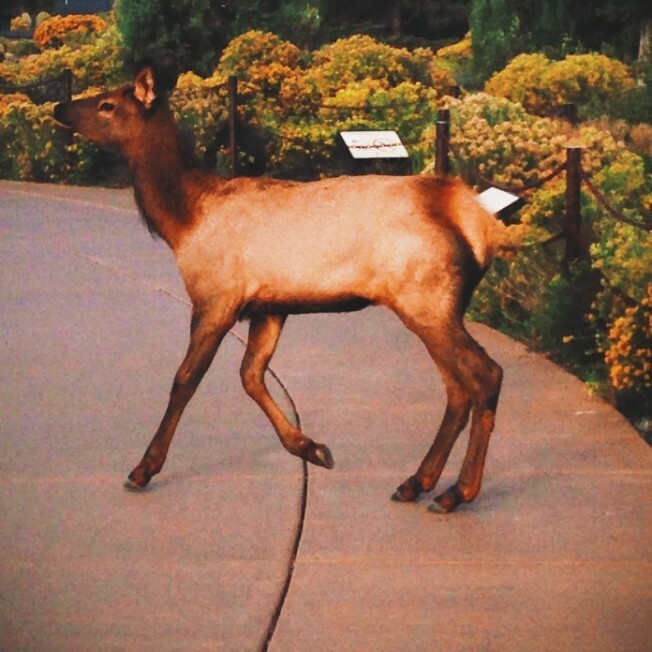 I saw this elk calf at the visitor center around 7 o’clock in the morning. If it looks like he has a funny gait, that’s because he just leapt over the fence behind him. It’s not the biggest animal of the bunch, but it’s just as important. 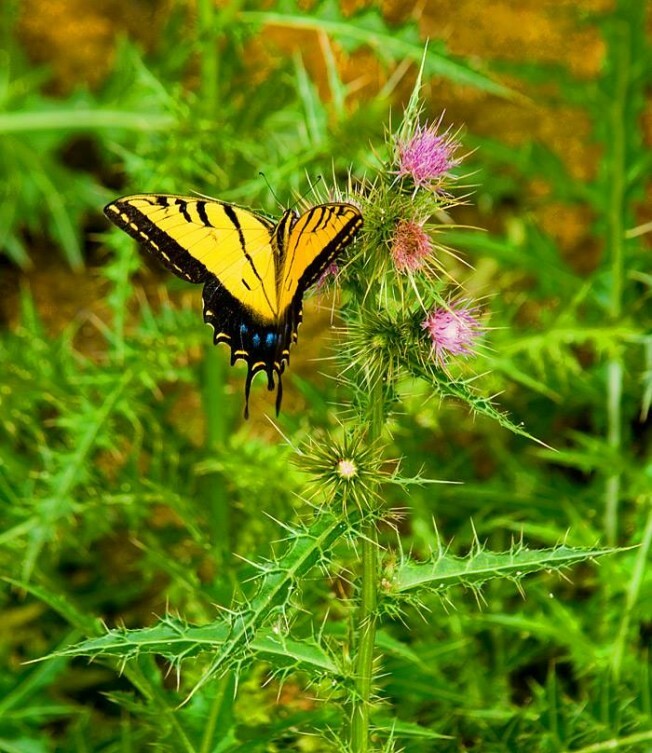 This western tiger swallowtail is one of the pollinators that lives within the park.